I’ll be starting up a new little section of shop tools as I pick up new stuff. 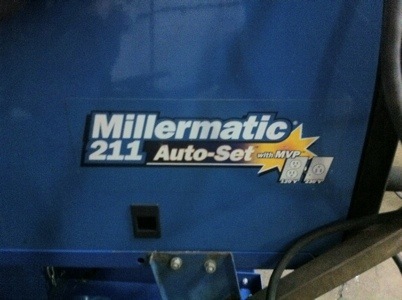 Went down to Fontana today to pick up a used Millermatic 211 autoset mig. It’s dual voltage so it will do 110 or 220. I welded a couple test passes in both voltages before I bought it and it welds amazing! 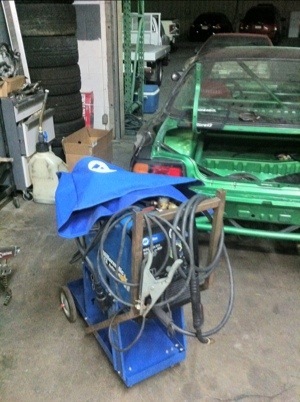 Pretty stoked on the purchase it will weld 1/2″ on a single pass so it’s bigger then anything I’ll ever need and it welds way nicer then any other mig welders I have used in the past. Best part it came with a cart and tank with wire and argon for an amazing price! Also that’s Ryan “sd9k” Litteral’s new S14 in the background. ~ by B. Rogers on May 30, 2012.